An incident involving Donald Trump has recently surfaced that involves The Donald performing a heroic deed back in 1991 and we think you will be amazed! When Trump saw a man savagely beating another man with a baseball bat he did what any other billionaire would do- he ordered his driver to pull the limo over and came to the manâ€™s aid! James Rosen at New York Daily News (via Philly.com) reported back on November 20, 1991 that Trump and his wife at the time, Marla Maples, along with another couple were heading toward the Lincoln Tunnel on their way to the Meadowlands in New Jersey for a Paula Abdul concert. Lol, Paula Abdul. As the limo was about to enter the tunnel Trump noticed â€œa big guy with a big batâ€� swinging away at another guy. â€œSomeone in the car looked over and said, â€˜Gee, look at that, itâ€™s a mugging,â€™â€� Trump said. â€œI said to my driver to stop the car because it was brutal-looking.â€� He jumped out of the car, with Maples tugging at his coat attempting to stop him. Kathleen Romeo, a 16-year-old student yelled â€œThatâ€™s Trump!â€� as they rolled up on the scene. But other witnesses backed up Trumpâ€™s story. Coming close to Dancing on the Floor of Stupidity! ...Trump and Carson are an unbeatable team! ..I just PRAY they stay together! At this point all you can do is hope and pray, because nothing is as what it seems. Mate: I agree That Nothing is as what it seems! as we are living in The Twilight Zone! ...but I do pray that our Nation and World finds a New Path to walk on---as the old dirt road is worn out! ...if our planet does not change; NOW--then in my opinion we are all burnt toast! I will Vote for Trump and I pray he picks Carson as VP! No not Carson the man is hell bent on mandatory vaccines. Yes Mr Trump, you are correct. Ryan is NWO Scum. He would work with Obama to advance Bummer's agenda because they are both puppets of the NWO. richer than Ross Perot and Steve Forbes and Mitt Romney. Trump told the Des Moines Register. In a series of tweets made in September 2014, the presidential candidate expressed concerns about administering vaccines to children in large doses. He suggested that administering vaccines in small doses over time might be able to reduce autism rates in children. Trump stated elsewhere that autism is an epidemic, and that the link between vaccines and the disease is real. Meanwhile, other presidential candidates claim that vaccines are harmless. The debate isn't centered on whether vaccines are safe, but whether they should be a choice or mandatory. The NWO SCUM/MSM are still trying to beat down Trump, Carson and Florina. Note---The NY Times is one of the mouthpieces of the elites. Is it True Donald Trump Cannot Win the Presidency? Can Donald Trump win the Republican nomination? Sure, itâ€™s within the realm of plausibility; heâ€™s now been leading the polls for months, after all. But it seems highly unlikely because it would violate just about every historical pattern of presidential races. No modern candidate has received a major-party nomination â€” and perhaps no candidate in American history â€” while being opposed by the partyâ€™s elites: donors, media figures, politicians and others. Elite support matters because they have the ability to shape public opinion through endorsements, public criticism and other means. Many voters donâ€™t follow campaigns very closely. They donâ€™t dig through position papers or watch hours upon hours of debates. Theyâ€™re influenced by what they hear. In every recent Republican presidential campaign, a couple of contenders â€” often with resumes atypical of a serious candidate â€” have shot to the top of the early polls, only to fade as they face scrutiny and criticism. Whatâ€™s fascinating about Mr. Trump is that he has, if anything, endured harsher criticism, and yet he has also remained atop the polls for longer. Perhaps Republican primary voters have grown so fed up with the country and their party that theyâ€™re willing to dismiss the collective opinion of Republican elites (which now seems to favor Marco Rubio or Jeb Bush). But it really would be unprecedented for the party to nominate someone like Mr. Trump, Ben Carson or Carly Fiorina. Yes, I remember Trump talking about a couple he knows that had a perfectly normal baby AND THEN THEY WENT TO GET THEIR SHOTS FOR THE BABY. Trump said that a week or 2 later, the baby developed AUTISM. The MSM has tried to cover it up---but people are slowly waking up. Trump is a billionaire, he is all part of a slick Globalist campaign strategy to get one if their own elected by telling Americans what they want to hear. Trump is a billionaire, he is all part of a slick Globalist campaign strategy to get one of their own elected by telling Americans what they want to hear. Prove your statement. Give us links. We know he is a billionaire. You prove the rest. Busted ! CNN Uses Jeb Bush Staffer Planted In Audience To Frame Donald Trump Narrative/Hit Jobâ€¦. During an appearance at a Jon Huntsman â€œNo Labelsâ€� event, a female audience member named Lauren Batchelder played the role of a female antagonist toward candidate Donald Trump. Within minutes of her scripted performance at the event, the producers of CNN were quickly editing soundbites and framing a narrative. That story was pushed into the media stream within hours. CNNâ€™s Jeanne Moos was the delivery vehicle for the a hit piece. (CNN)The Republican presidential front-runner, whose colorful tweets have made almost as much news as the real estate mogul has made in person, is planning to make sure his voice heard during tonight's debate. Donald Trump wrote Tuesday morning that he will live-tweet CNN's Democratic Debate, kicking off in Las Vegas just hours from now. "At the request of many, and even though I expect it to be a very boring two hours, I will be covering the Democrat Debate live on Twitter," Trump wrote. Trump has made his disdain for the Democratic field, and its front-runner Hillary Clinton in particular, apparent at nearly every turn. "Honestly, (Clinton) shouldn't be allowed to run," Trump said Saturday at an event in Georgia. He shows his true colors ! â€¦ what a botched piece of dirty trickery! Has he signed a non-Globalist pledge yet ? Where he refuses to take orders from Bilderberg ? The full force of Donald Trumpâ€™s troll army has been unleashed on an 18-year-old intern. Yesterday, a college student named Lauren Batchelder made news for standing up at the No Labels conference in New Hampshire to ask Trump about equal pay and reproductive rights: â€œIf you become president, will a woman make the same as a man, and do I get to choose what I do with my body?" Today, the news broke thatâ€”shocker!â€”Batchelder, a young woman who hangs around wonky political conferences, is involved with politics. Besides interning for New Hampshire Republican Senator Kelly Ayotte, she volunteers for Jeb Bush, who should really step in to help her now that right-wing bullies have set out to ruin her life. If the Bush campaign planted Batchelderâ€”which it deniesâ€”it was a cynical move, given that Bushâ€™s stance on the issues she raised isnâ€™t much different than Trumpâ€™s. Attacking him and his staffers is fair enough, but naturally, Trumpâ€™s fans and allies would rather rip a young woman to shreds. Rush Limbaugh went after her by name on his radio show. Her social media feeds were dumped online, though she quickly turned them off. Her mailing address was published on Twitter. A video clip of her performing a song from The Little Mermaid circulated for the mobâ€™s jeering delectation. One right-winger Tweeted: â€œSpread her name like that of that other infamous intern: Monica Lewinsky.â€� Others were far cruder. Until Batchelder speaks out, thereâ€™s no way to know how shaken she is by all this. But women who end up on the wrong end of a social media pile-on can find it very hard to get their lives back. My God, we are back in high school and Trump is the star quarterback running for prom king. We are doomed, doomed I tell ya. and there was me thinking kindergarten ! If there was any doubt left about Trump's sway over an influential part of the Republican primary electorate, fresh new evidence points to his staying power in the GOP field. New CNN/ORC polls released Wednesday of likely voters in two key states showed Trump almost doubling the support of his next-closest rival, despite speculation that his support has peaked. Trump led among likely Republican voters in Nevada with 38% support, while he garnered 36% of the Republican vote in South Carolina. Those two states are the third and fourth, respectively, on the primary schedule. Donald Trump is starting to go after Sen. Bernie Sanders (I-Vermont). In a short attack video posted to Trump's Instagram account on Wednesday, Trump's campaign skewered the self-described Democratic socialist over his response to "Black Lives Matter" protesters who stormed the stage at a Sanders event earlier this year in Seattle. "The world is a dangerous place. We need a tough, strong leader in the White House. And it's not this guy!" the video's narrator says. 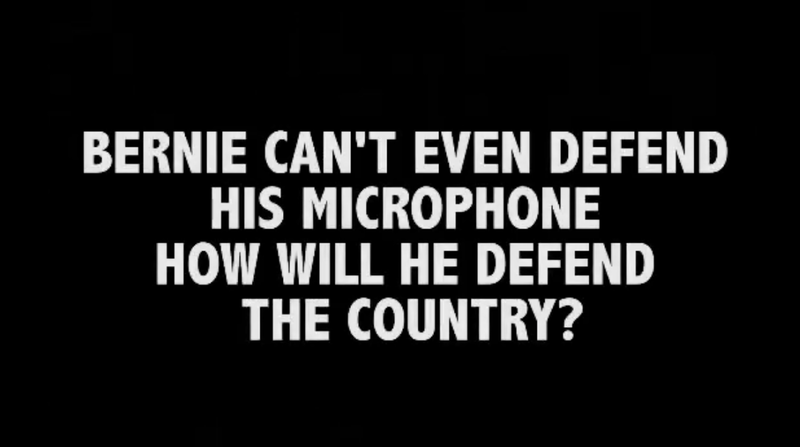 "Bernie can't even defend his microphone â€” how will he defend the country?" the text block of the video reads. video at the link. COULTER IS RIGHT. TRUMP IS THE ONLY ONE THAT WILL DO ANYTHING ABOUT IMMIGRATION. IMMIGRATION IS THE #1 ISSUE. Republican presidential front-runner Donald Trump said Wednesday the contest for the 2016 GOP presidential nomination is starting to look like a two-man race between himself and retired neurosurgeon Ben Carson and that he might have to start going after Mr. Carson even though the doctor has been nice to him. A Fox News poll released Tuesday had Mr. Trump in the lead at 24 percent, with Mr. Carson right behind him at 23 percent. Trump going after Bernie Sanders ? Like can anyone work out what that means ? The general election may be more than a year away, but Republican front-runner Donald Trump is making call for the Secret Service to be by his side. In an exclusive interview with The Hill, Trump said he should be getting Secret Service protection, citing the early protection Barack Obama received in 2007 during the campaign. Obama was granted use of the Secret Service on May 3, 2007. RUSH LIMBAUGH: You know the No Labels group? The No Labels group is basically a bunch of Republican liberals. They are Republicans who don't like conservatives, and they don't want to be associated with conservatism. They want to be seen as intellectually elite, scholarly, superior, and they love being thought of as moderates. You know why? 'Cause moderates, independents, that's another thing that's happened in our political culture. 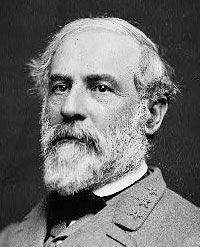 Those people have acquired the reputation of open-minded, which is intelligent. Like those of us who are wedded to our causes 'cause we really believe -- we're small-minded, closed-minded, we're not open to opposing points of view. But the moderates and the independents, these are the diamonds in our culture because they make up their mind issue by issue. They're not closed-minded, and they're not small-minded, and they're not bigoted. Well, a bunch of these people got together and formed a club essentially called No Labels. And there's some former Republican speechwriters in this group. The former media director for the McCain campaign of 2008 is in this group. And, anyway, this group had an event. It's going on right now in New Hampshire called the No Labels event. And Trump began his appearance at the No Labels event, which is apparently just a long-winded Q&A with people in the audience and whoever the officials of the No Labels organization happened to be. And I heard before the program started that Trump's kicking it. He's just doing fabulous. So I asked Cookie to get me some sound bites of it. And I have 'em here. Let's go ahead and start with those. Starting here, sound bite number 28. It's in Manchester, New Hampshire, and this is at the No Labels Problem Solver convention, and I guess they're having a bunch of candidates show up at this thing. It was Trump's turn to speak, and during the Q&A, an audience member said, "I was wondering what your plan is in working across the aisle to increase civic engagement among Millennials, getting college students involved and also student loans." Now, that's a perfect question for somebody at the No Labels event. "Can't we all just get along? There must be bipartisanship. We must cross the aisle. We must show the American people that we can work together. We must show that we can do good government, that we can get things done. We must, we must, we must." And so you've got somebody in the audience asking Trump, "I was wandering what your plan is in working across the aisle to increase civic engagement among. So what are you going to do, Mr. Trump, to see to it that Millennials are not so mean to each other and actually can work together with people?" TRUMP: Don't forget, these schools, because they get so much money from the government through the student, they're raising their fees to a point that's ridiculous. They don't need to get that kind of money. (Applause) Because of the fact that the government is giving out so much money, you take a look at what's happened to the cost of education, and believe me, it hasn't gone up that much, so we're gonna do a number, we're gonna get those numbers down, and also we're gonna have jobs. So when you graduate, you're gonna end up getting a nice job where you're very happy, okay? Thank you. Great question. Trump goes after Sander: Because Sanders is a Commie! Check out the latest Trump appeal! he is the choice for most Republicans and YES I think it is COOL! ...I do believe Trump will be in The White House! Donald Trump continued his analysis of Tuesdayâ€™s nightâ€™s debate, which he live-tweeted, during a rally in Richmond, Va. on Wednesday.